Running ArcGIS Enterprise on cloud platforms has been popular for years. The use of cloud platforms has helped many organizations by providing reliable, easily accessible infrastructure, often referred to as infrastructure-as-a-service (IaaS), and has been growing rapidly for over a decade. Today, we’ll explain the options available to you as an ArcGIS Enterprise administrator – whether you want to consider migrating your existing setup from on-premises infrastructure or start fresh in the cloud. With IaaS, you run traditional software, but the hardware infrastructure – the physical servers and networking equipment on your premises – is replaced by virtual machines and virtual networking provisioned and configured using the administrative interfaces of the cloud platform of your choice. This is not to be confused with software-as-a-service (SaaS), where everything is hosted and managed by the software vendor. Esri’s primary SaaS offering, of course, is ArcGIS Online. The choice of running software yourself (ArcGIS Enterprise using an IaaS model) versus having a vendor provide the software as a service (ArcGIS Online using a SaaS model) is a choice that warrants a blog post on its own. For many organizations, it’s not an either-or choice, as they implement both products to get the best of both worlds. For organizations that choose one or the other, the decision is often driven by functional requirements (capabilities available in one model but not the other) as well as externally imposed requirements around security (rules and regulations that impact where data resides, who manages and has access to their data, and so on). This graphic from trust.arcgis.com shows the areas of responsibility under the different models. From the left: a traditional on-premises deployment; deploying ArcGIS Enterprise software under an IaaS model; engaging Esri Managed Cloud Services (EMCS) to deploy and manage software on your behalf; and finally using ArcGIS Online under a SaaS model. Once you’re running in the cloud, there are additional cloud-native features provided by the cloud platform. Common features include storage and database options that are specific to running in the cloud. This kind of functionality is referred to as platform-as-a-service (PaaS) and provides building blocks to run highly scalable and highly resilient software deployments. You can run ArcGIS Enterprise software using IaaS in the cloud. Esri provides specialized deployment tooling to make it easier to install and configure the software on certain cloud platforms. ArcGIS Enterprise software supports different types of cloud-native PaaS functionality across several cloud platforms. The simplest way of beginning to use the cloud to host your own software is often to do a simple lift-and-shift migration, where you move software currently running in a traditional data center to the cloud. The behavior of the software is exactly the same after moving into the cloud – but now it is running with the benefits of underlying cloud infrastructure, such as having cheap and reliable virtual machines that don’t require high upfront purchasing costs and little ongoing maintenance of the infrastructure. 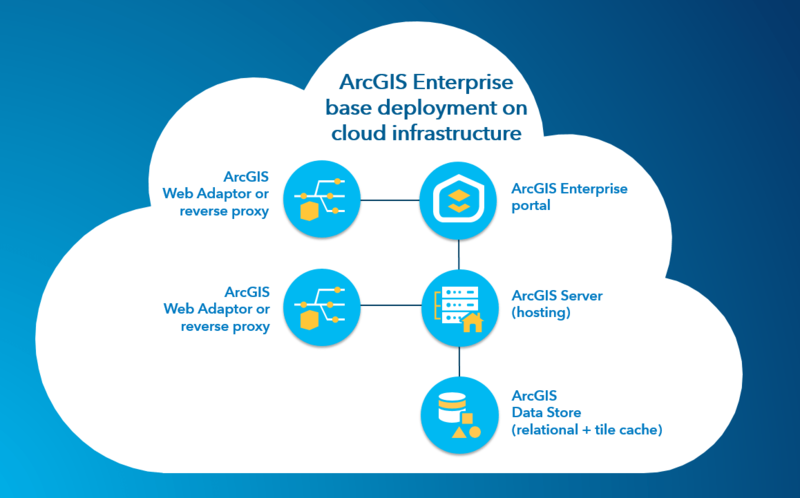 ArcGIS Enterprise runs and is supported on any cloud platform that meets the basic system requirements. In practice, that means essentially all cloud platforms! Esri has customers running ArcGIS Enterprise on all major cloud providers, including Amazon Web Services (AWS), Microsoft Azure, Google Cloud Platform, Alibaba Cloud, and Huawei Cloud. A cloud deployment of ArcGIS Enterprise generally resembles an on-premises deployment from a software standpoint. Our deployment tools for AWS set up instances of ArcGIS Web Adaptor; the tools for Microsoft Azure set up reverse proxy servers in their place instead. Because many of our customers use AWS and Microsoft Azure, we have also created specialized deployment tooling for these two cloud platforms. This means in many cases, it’s even easier to deploy on AWS and Azure than doing so on-premises! These deployment tools don’t just install and configure the software; they also provision and set up the underlying infrastructure, including the virtual machines, load balancers, networking, and storage. For AWS, the two main options are CloudFormation templates and the Cloud Builder CLI (introduced with ArcGIS Enterprise 10.6). The Cloud Builder CLI makes it easy to get started using a tool that does a lot of traditional AWS heavy lifting for you. Do you need more flexibility or integration with other AWS tooling for advanced automation workflows? The CloudFormation templates are the way to go. 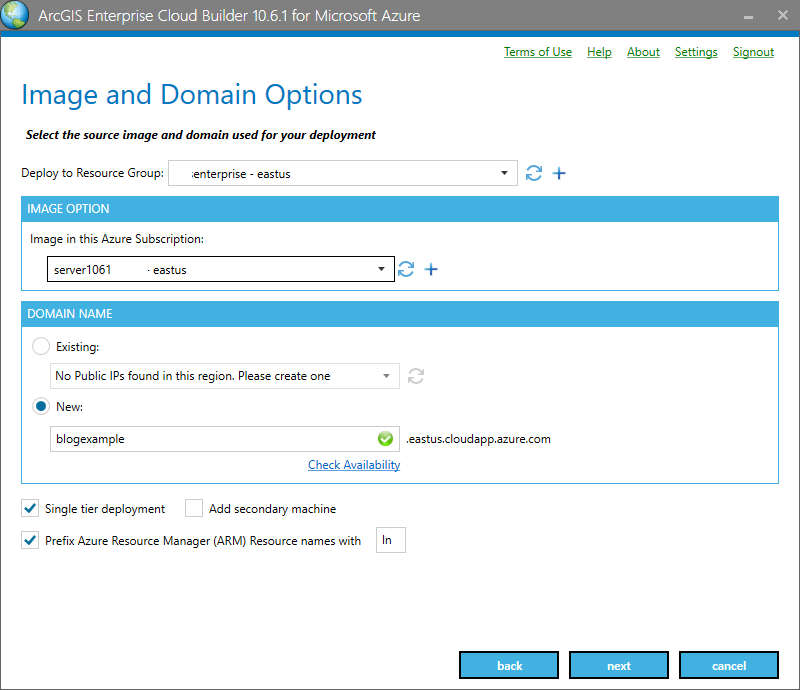 When working with Azure, the ArcGIS Enterprise Cloud Builder for Microsoft Azure is the deployment tool for you. 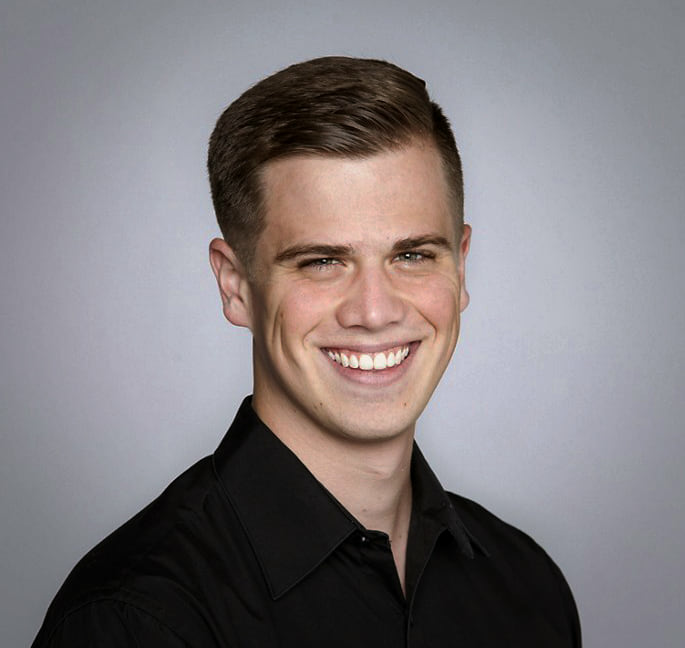 This wizard-driven GUI application helps define your desired configuration – including infrastructure and software configuration options – and then allows you to directly deploy using your Azure account in an interactive manner, or to export deployment artifacts to be used in automated deployment workflows. The ArcGIS Enterprise Cloud Builder for Microsoft Azure wizard in action. Once your software is running in the cloud, there’s a whole new world of entirely new options available beyond just running the software as you would have on-premises. Cloud platforms provide a wealth of cloud-native features that go beyond the options available with traditional infrastructure. Cloud-native storage like Amazon S3 or databases like Microsoft Azure SQL Database are cheaper, more reliable, and easier to manage than virtually any comparable on-premises options. 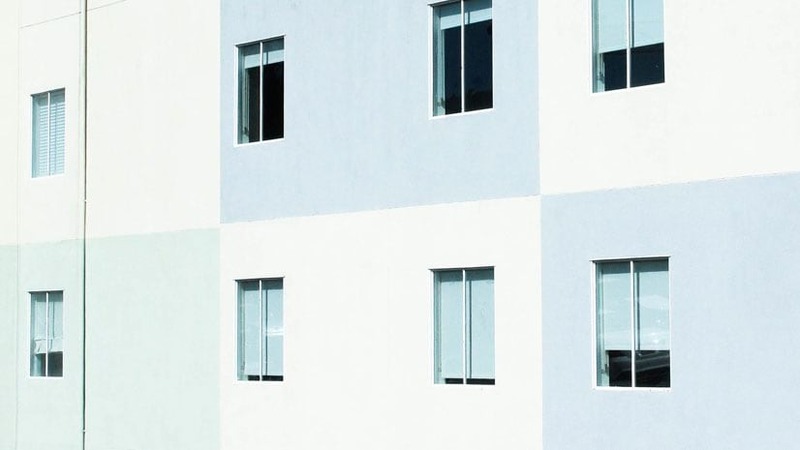 This kind of functionality is often referred to as platform-as-a-service (PaaS), where a cloud environment provides fully managed building blocks that can be used as the foundation for larger systems. Using cloud-native functionality makes it possible for the software to run better than it ever could on-premises! ArcGIS Enterprise 10.6.1 supports cloud-native functionality across several cloud platforms including Amazon Web Services (AWS), Microsoft Azure, Alibaba Cloud, and Huawei Cloud. Support for cloud-native functionality has been added progressively over the past many releases of ArcGIS Enterprise, so take a look at the documentation to see what features are supported. In upcoming blog posts, we’ll look at specific workflows where using cloud-native functionality can really make your ArcGIS Enterprise deployment run cheaper and more reliably than almost any setup with traditional hardware infrastructure.